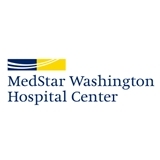 MWHC Orthopaedics (Washington) - Book Appointment Online! Dr. Golden has been treating me for 4 1/2 years now. I was involved in an accident which has required numerous surgeries. I would highly recommend Dr. Golden and Washington Hospital Center. He and the hospital are very caring and are very concerned for your well being. I was very impressed. From the moment I walked in the office I was greeted kindly by the front staff and only waited a few minutes until I was called back. Every person I encountered was friendly and professional. I was given personal attention and feel confident in the care I received.